You are here: Home / Blog / News / Grand Designs Live 2017 – We’ll Beat Your Quote! Grand Designs Live 2017 – We’ll Beat Your Quote! The hugely popular Grand Designs Live is back at the NEC in Birmingham this week for another exciting show packed full of innovative home improvement ideas. Based on the successful TV series, Grand Designs Live is presented by Kevin McCloud and features over 400 exhibitors across 5 days. It’s a great event to explore the latest home building trends and see exclusive products for your own new-build or renovation project. Tickets are still available online so don’t miss out! Amongst the inspiring products at this event are bi-folding doors. Innovative and modern, folding doors continue to be highly sought after within the homebuilding industry. 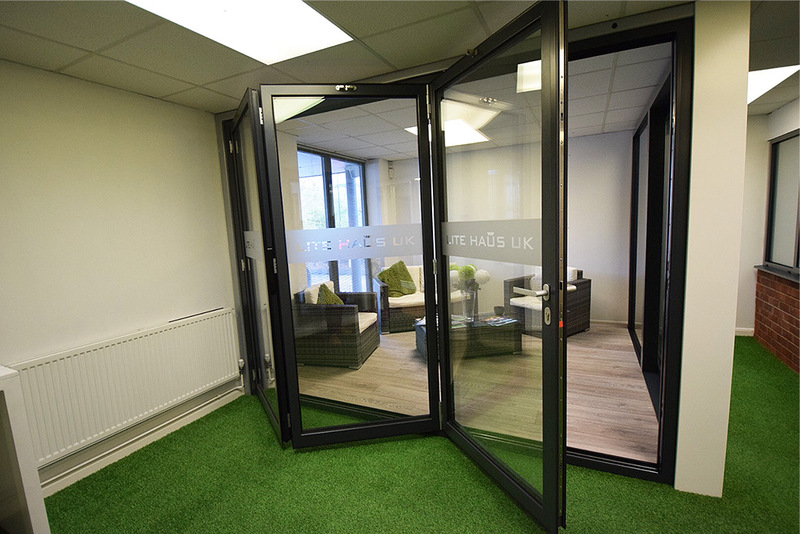 The unique design of bi-folds means that they are highly versatile and come with a variety of design options to suit any sized space. 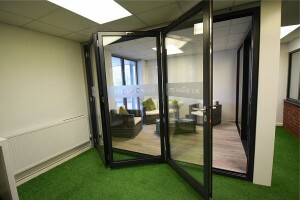 If you get a quote from Grand Designs Live this week for new doors, speak to the Lite Haus team. We have a highly experienced team who work with the best products on the market. Our bi-folding doors, sliding doors and modern windows are built using aluminium, which offers many benefits over uPVC and timber. Our first choice for aluminium bi-fold doors is the Schuco ASS70 Folding Door, a market leading product in folding door technology. With its German engineering, ultra-slim frames and thermal insulating properties, it offers the highest quality at a competitive price. We will beat your quote for any Schuco Bi-Folding Door System! Discuss your project with Lite Haus UK today! Find out more about our aluminium bi-fold doors and quality windows, or visit us in Coventry and take a look at our show room.